I’m thrilled to be offering my awesome readers another great giveaway. Put Me in the Story is a unique organization that offers you the chance to personalize a storybook for your little ones. The possibilities of stories you can personalize are endless. Choose by age, occasion, or even your child’s favorite character, like Elmo or the Berenstain Bears. In just three, easy steps you’ve put your child into the story. His or her name will appear alongside the main characters, and you can even include your child’s picture. This makes a great gift for any occasion., especially Christmas! I don’t know if you’ve seen that popular Pinterest Pin about the Christmas Eve box of goodies, but I think a personalized Christmas storybook from Put Me in the Story is a perfect addition! In fact, it’s one of the things I’ll be putting in Corbin and Lynley’s boxes. We created our storybook recently, and I cannot wait to give it to the babies. I may not wait until Christmas Eve to give it to them. We’ve always had a tradition growing up to put up the Christmas tree and decorations after Thanksgiving dinner., so I’m thinking about gifting the babies their Christmas goodies then, or at least a few. Then, I’ll just put another box together for Christmas Eve! Lucky, little ones, right!?! Anyway, I am overall pleased with the storybook. The only thing that I would change is the fact that you cannot enter multiple names for sharing. If you only have one child that you are ordering for, then it’s no big deal. But in our house, most books are shared since we have twins. I had to enter the name as Corbin/Lynley. It looks fine, but it reads awkward due to singular tense. I’ll have to think about correcting it as I’m reading. 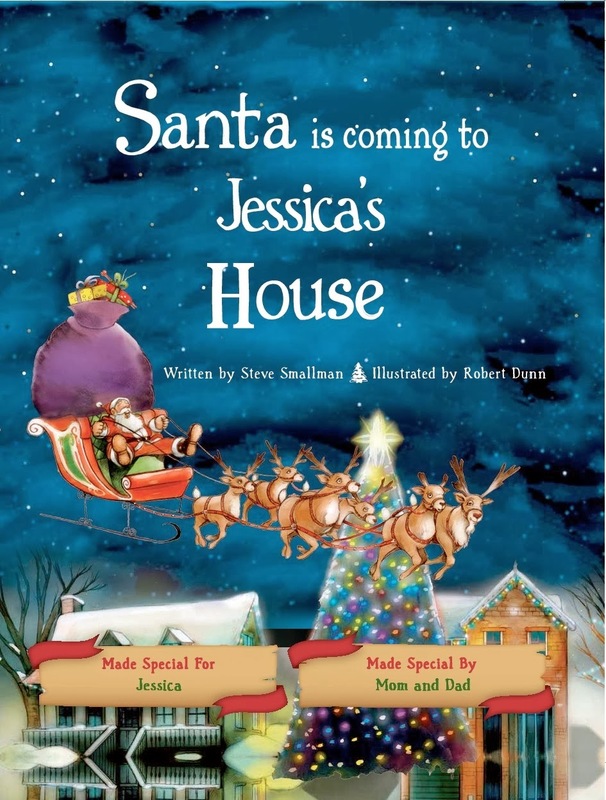 Yes, I could have ordered two separate books, but because it is a Christmas book and not a gender-specific or child-specific book, I wanted them to be able to read it together. Put Me in the Story has an awesome Living Social Deal going on right now. For just $14, that’s a 58 percent savings, you can personalize your storybook. Or… WIN one below! A lucky Spit and Sparkles reader will be able to order a storybook for free. Open to U.S.,Canada and Puerto Rico residents! BLOGGER OPP: Gifts that Give Back campaign is happening soon. Sign up here to help us sponsor this. GooseWaddle baby blanket also up for grabs! Hurry, only TWO days left. My kids would love, love, LOVE the one on Elmo. 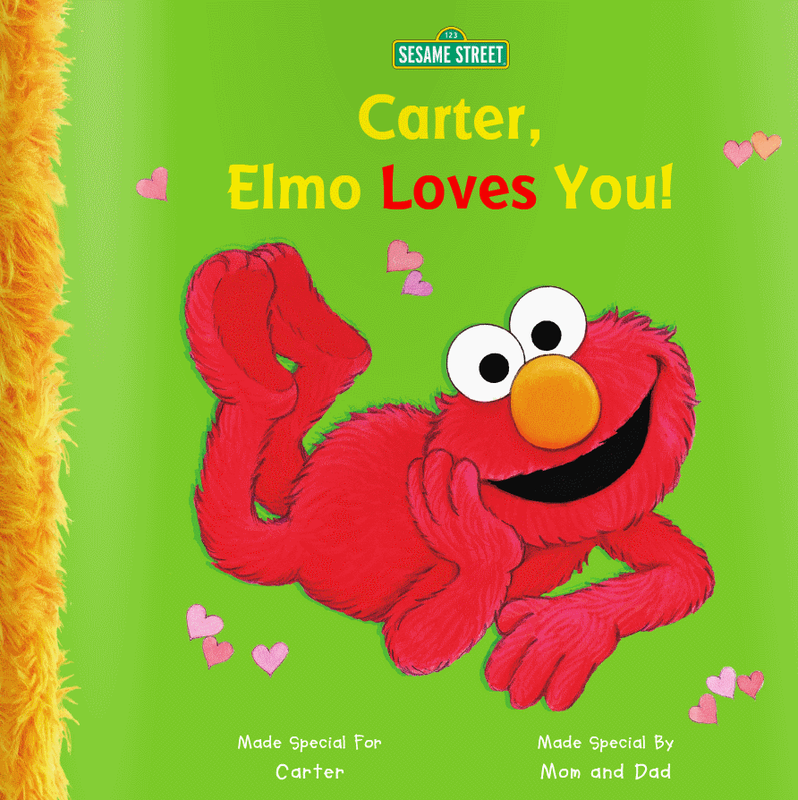 I read “Elmo Loves You” almost every night. Please let me know if this is open to Canadians and/or Canadians with a US mailing address and I will enter! I tweeted it out anyways. Feel free to promote it on my Tuesday Weekly Facebook Giveaway Wall (https://www.facebook.com/JourneysofTheZoo2/posts/572752496125262) and Blog Giveaway Linky (http://www.journeysofthezoo.com/2013/11/weekly-giveaway-linky-november5.html). Please just state eligibility. Yes, it’s open to Canadians! Please enter Adding that info to the blog post now.